The last week proved that hate still abounds in America, and also that social media continues to fuel it. The letter-bomb campaign suspect had been reported to Twitter for having made a direct threat against a political commentator two weeks ago, but Twitter responded that he hadn't violated the company's terms of service. Twitter took down the account after the accused bomber was in custody and eventually apologized for not taking action on that initial report. "We made a mistake when Rochelle Ritchie first alerted us to the threat made against her. The Tweet clearly violated our rules and should have been removed. We are deeply sorry for that error." 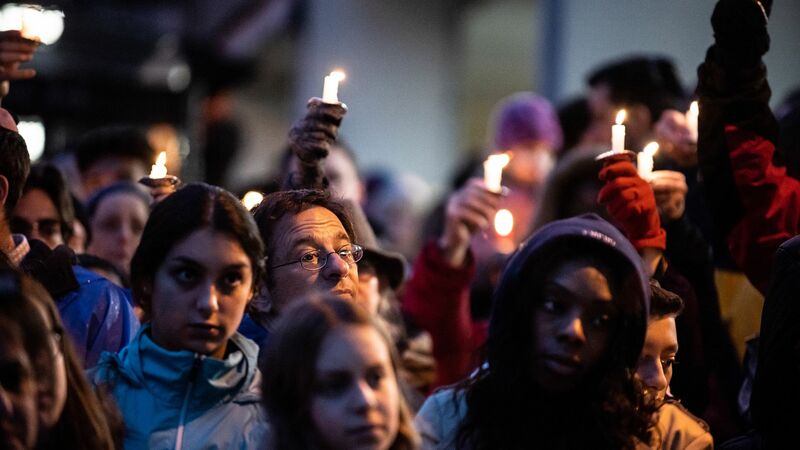 The Pittsburgh synagogue shooting suspect had been a frequent poster on Gab, a less widely known social media platform that dubs itself as a "free speech" advocate. Gab, which was started as an alternative for extremists who found that Twitter was beginning to banish them, tends to allow violent hate speech as long as there aren't specific attacks directed at particular individuals. The tech industry took some more concrete steps here. Microsoft had quietly cut ties with Gab a month ago, forcing it to find a new hosting provider. After the shooting, PayPal cut ties with Gab, followed by Stripe. Hosting providers Joyent and BackBlaze also cut services to Gab, pushing the site offline by Sunday evening. Meanwhile: Twitter critics noted just how much hate speech has remained up on the site. Communications professor Jennifer Grygiel pointed out a number of hate-filled screeds that had been on the site for years. While a number of the text-based ones were taken down, some image-based memes remained, indicating that Twitter may have a tougher time screening text that is part of an image, vs. plain-text tweets. BuzzFeed's Charlie Warzel noted the spread of a false meme on Twitter suggesting George Soros — a Holocaust survivor — was a Nazi. Advocates of free speech online long argued that it's good to keep extremists' activities out in the open, and sunlight is the best disinfectant. But too often social networks have turned out to be toxic environments where the fumes blot out the light instead. The bottom line: On social media today, false narratives spread, bigotry intensifies, and sometimes entire plots are hatched. Tech's platforms have become hate-speech amplifiers, and their owners, especially Twitter, haven't shown they have a handle on the problem. It's IBM's biggest ever acquisition, and among the four largest tech deals ever, per CNBC's Steve Kopack. Why it matters: IBM has been shifting for years away from mainframes and servers to selling software and services that bring recurring revenue. Red Hat, which charges corporate clients for custom-built Linux offerings, fits into that strategy. The move comes as others are also doubling down on Linux, including longtime rival Microsoft, which just completed its $7.5 billion GitHub purchase and recently joined an effort that helps protect open source by sharing patent rights. Red Hat will become a standalone unit in IBM's cloud unit and keep its existing leaders and location. IBM said it should add to free cash flow and profit margins within 12 months. N.Y. Times tech reporter Steve Lohr: "IBM makes a big move to attract software developers and position itself as the "Switzerland" of the cloud world." Tech journalist Simon Le Gros Bisson: "The only upside I can see to an IBM/RHAT deal is if IBM lets Red Hat run it like a reverse takeover. Otherwise it's going to be 'How many Global Services consultants do you want with that OpenShift install?' "
Red Hat engineer Dan Sneddon: "I’m having trouble picking my jaw up off the floor. This probably won’t be a bad thing in the long run, but calling this a surprise is an understatement." The bottom line: IBM pitched this as a deal to lead the hybrid cloud of the future, while critics said it was buying yesterday's big technology. The truth is probably somewhere in the middle. Global investors have pumped $4.2 billion into autonomous driving-related companies in the first three quarters of 2018, according to data from CB Insights. The big picture: The $4.2 billion figure doesn't include all the funds automakers are investing into developing their own new tech, notes Axios' Kia Kokalitcheva. A Brookings Institution report last year estimated that from August 2014 to June 2017, a total of nearly $80 billion was invested in the area by the auto industry and venture capitalists. The big funding tends to go to companies building a full car — or close to it. Developing a brand new car model usually costs companies at least $1 billion, and up to $6 billion. Zoox: The company, which is building a fully self-driving car from scratch, has raised $790 million in funding to date despite still being in the private testing phase of its development. Cruise: As a startup building an autonomous driving system that could be installed in a car, Cruise raised less than $20 million before General Motors acquired it for nearly $1 billion. Since then, it’s expanded to building cars that are natively built to drive themselves (in partnership with GM), and has attracted a $2.25 billion investment from SoftBank ($900 million upfront), and more recently a $2.75 billion investment from Honda ($750 million upfront). What's next: "Venture investors have begun to target early-stage startups working on specific AV use cases, such as managing a logistics AV fleet or enabling last-mile deliveries, rather than the technology underpinning autonomous mobility," Synapse Partners founder Evangelos Simoudis writes for Axios Expert Voices. "As large-scale AV fleets are deployed, these early-stage startups will become likely targets of the next acquisition wave." Two Latin American scooter rental startups, Grin in Mexico and Ride in Brazil, have merged and will operate under the Grin brand, Axios' Kia Kokalitcheva reports. Google hosts a cloud computing event in Sunnyvale, Calif.
After nine years at Google (and five more at Microsoft before that), developer advocate Don Dodge said he is leaving tech to start a new venture with his sons outside of the industry. 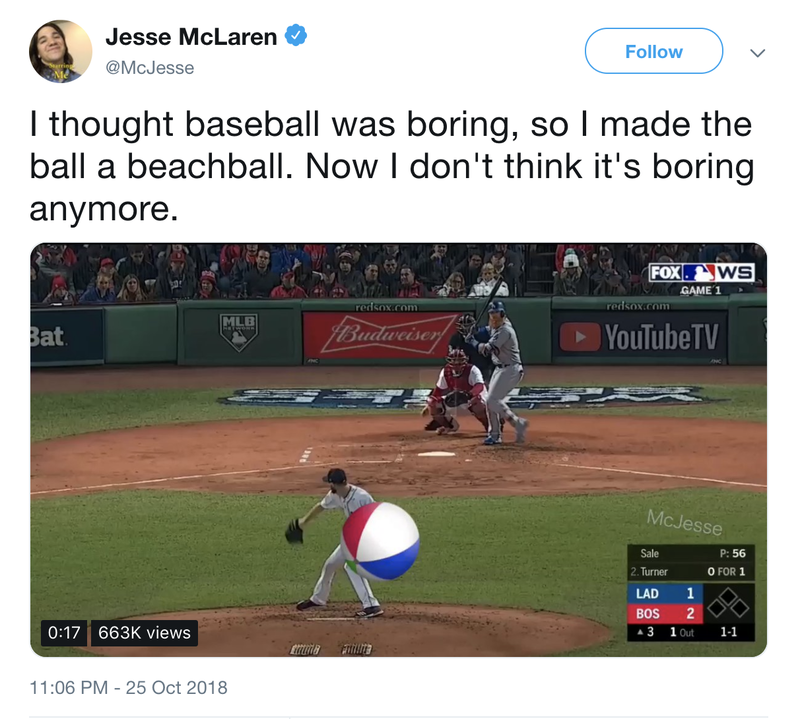 For those who aren't into the World Series, it's more fun when you use computer graphics to transform the baseball into a beach ball.